Cultivates and levels the ground better because of its design and rigidity. Side rails and lever assembly are made of high carbon material for extra rigidity. 1 5/8 O.D. High carbon heavy duty pipe for greater strength at high speed tractor operation. Designed with the open end of the draw hook toward the ground to reduce unhooking. This design allows for perfect trailing and the most uniform harrowing. 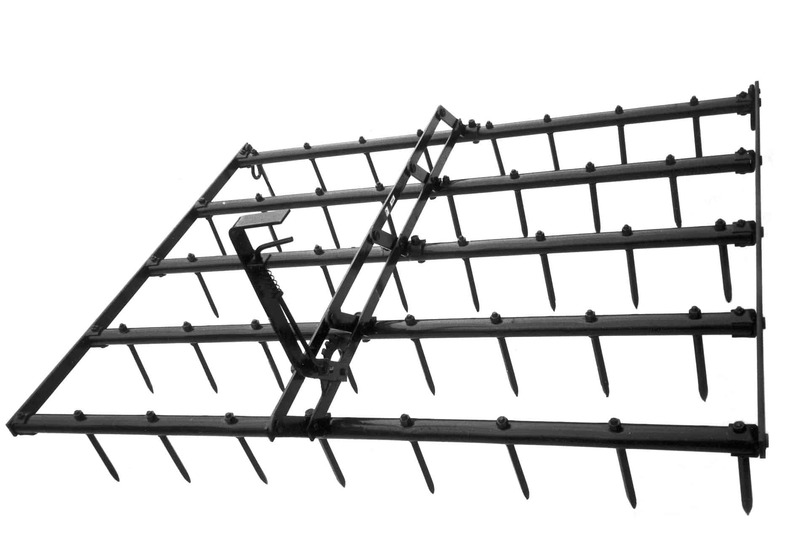 Tilts the teeth to the angle best suited to soil and crop conditions. The lever folds down flat for easy in handling and storage.